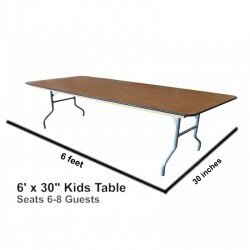 Whether planning an outdoor wedding or a backyard party, we’re here to help you save money on chairs, table, tents, and other items essential for you event. 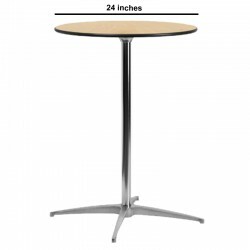 24" or 30" round top, versatile commercial grade cocktail table, ideal for banquet halls, conference centers, receptions, cocktail parties, corporate events, hotels, bars, clubs, training rooms, break rooms, Etc. Default size is 24" x 42". Please choose your desired size and confirm rental period. 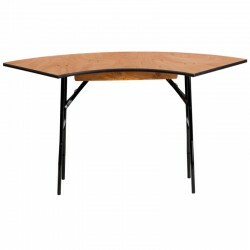 Serpentine table, ideal for banquet , buffets, registrations, corporate events, food festival, Etc. 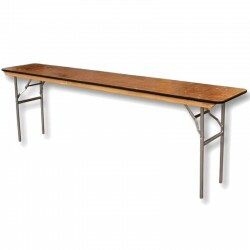 The default size is 60". Please choose your desired size and rental period. 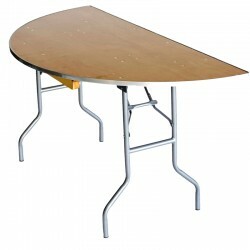 Rental price includes crew labor for set-up and dismount. 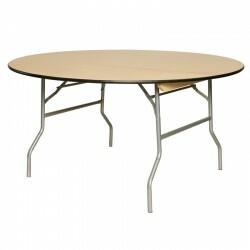 Half moon table, ideal for banquet , buffets, registrations, corporate events, food festival, Etc. Please choose and confirm rental period. 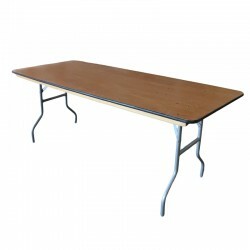 Scratch-resistant, melamine top, rectangular classroom table, ideal for kids festivals, school events, kids learning shops, Etc. Please note the default size is 6' x 18". Please choose your desired size and confirm rental period.